As most of us know, riding is a sport that requires many extra hours of commitment and dedication. For some people, like myself, it is a bit of a struggle as I am studying full time working towards my degree in Equine Management as well as working part time, with my horses on DIY. 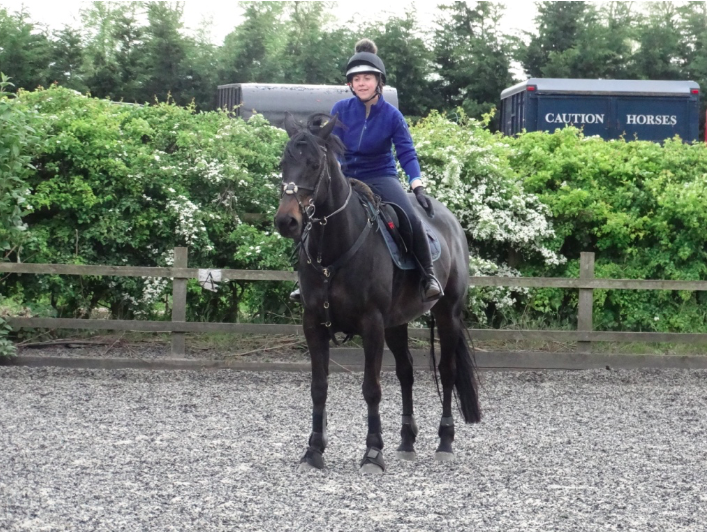 It can also be a struggle, juggling school and schoolwork with riding and looking after your horses in the evenings. But don’t be disheartened, there are many ways that you can balance your riding whilst getting all your work done. Making sure your priorities are straight, is one of the most important things to establish a baseline for balancing riding a work. My priorities, for example, shifted quite a lot when Dude came down with colic. As we all know with horses, in some situations they will become the top priority, as we have taken on this responsibility and their care is paramount. As well as this, we must make sure we also prioritize other things, such as time for school work and time spent with friends. I found that making a list of my priorities was really useful, spreading out straight in front of me. Don’t be afraid of writing things down! Planning ahead really helps me to get everything done that needs to be done. I always make sure that I have my week ahead planned in my diary, so I can make sure that I get everything done. It is also satisfying to tick off all the tasks, homework or chores you have done! Keeping track of everything also becomes helpful in the future in case you ever need to look back over on things you have done. It can also help you if you need more time to get certain tasks or homework done, you can refer back and change your timetable in the future, to do so. Write out goals and targets, for your schoolwork and riding. I find that setting myself future goals, such as to have done pole work 4 times this month, or do 3 books of extra reading for university or school this month. It really gives you something to work for, to make sure you stay motivated. I am terrible at sticking to time, I always spend way too long on homework as I get distracted. If you are strict with your time management and only give yourself a certain amount of time to do a task (that is feasible) you will find that you will get on with the task much more efficiently and can start to fit more things into your day. The main thing about keeping the balance, is staying on top of everything. Even just starting your homework or assignment, the night you get it, (as boring as it sounds) will make you feel so much better and you won’t be rushing at the last minute to get it done. Once you get into the swing of things, it will become so much easier! Of course we all slip up, and our timetables aren’t always effective, but that’s okay. Just stay focussed and youll be back on track in no time! I hoped this has helped lots of you out there after your first half term back and school, college, Uni or work!